Maybe retire, relocate, get another business? 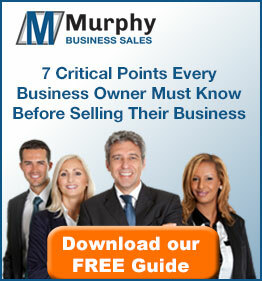 Murphy Business is the largest and most successful business brokerage in North America according to IBISWorld.com. The Calgary office is one of more than one hundred and eighty (180) offices across Canada and the United States. The experienced Calgary business brokers at Murphy Business have owned or managed a business in the past. This first-hand experience helps to provide professional assistance whether you are looking for a franchise opportunity, buying or selling a business or you are just looking for a business valuation. Murphy Business professionals offer assistance with all of your business broker needs. More videos with more Q&A’s in my FAQ Video Library. Maximum exposure when selling or buying a business through our affiliations with National and International Business Brokerages and Merger and Acquisition associations. The Calgary Murphy Business office has beneficial connections throughout Alberta including the cities of Calgary, Airdrie, Strathmore, Okotoks, High River, Cochrane, Canmore, Banff, Red Deer, Olds, Sylvan Lake, Drumheller, Lethbridge, Medicine Hat, Edmonton, Leduc, and St. Albert. The Calgary, Alberta Murphy office provides expertise in the local market and connects you to opportunities worldwide. Whether it’s a franchise opportunity, merger and acquisition consulting, or business valuation we will provide the confidence and expertise needed to partner with you on your business venture.